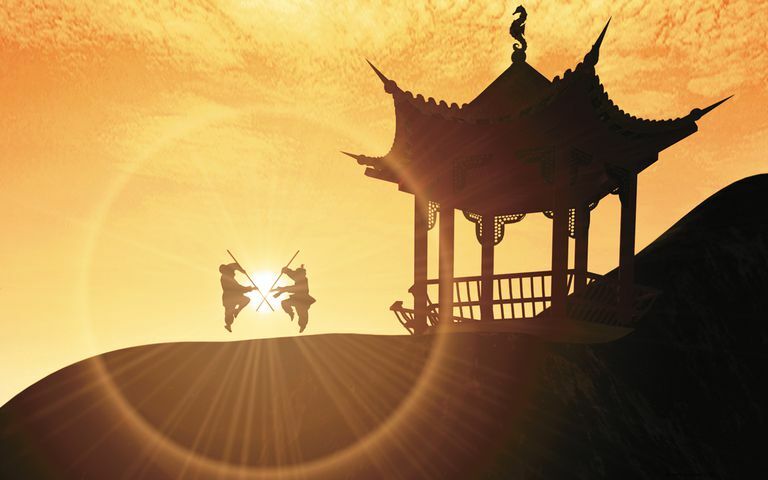 Taoist martial arts practice at dawn (or dusk) - beautiful!. Elizabeth Reninger is a Taoist practitioner of qigong, acupuncture, and tuina massage. She is the author of several books on spirituality, including "Physics, Philosophy & Nondual Spiritual Inquiry." In broad brush-strokes, paints a picture of Taoism’s history, world-view and practices. Start here! Definitions of: Tao, Qi (Chi), Yin & Yang, Daojia & Daojiao, Five Elements, Ten-Thousand Things, Baibai, Inner Alchemy, Three Treasures, Three Dantiens, Three Purities, Bagua, Grotto-Heavens & Wholesome Earths. Why is “qi” sometimes spelled “chi” and “Tao” sometimes spelled “Dao”? A great resource, to print and have on hand! Things to do to begin embodying Taoist principles in your daily life. Two kinds of “alchemy” important in Taoism’s history. Taoism’s story of the origin of the Universe. What is the “tao” of Taoism? This paradoxical “action of non-action” or "non-volitional action" is one of Taoism’s central values. A practice to help you cultivate Wu Wei. Taoism’s roots in the shamanic cultures that settled along the Yellow River. Various lineages and streams of practice that unfolded through China’s various dynasties. To cultivate the direct experience of qi – the life-force energy that animates all of existence – is a central component of Taoist practice. An introduction to this ancient practice for harmonizing the flow of qi within (and beyond) the human body-mind. Like small rivers, the meridians carry qi through the body. Even deeper reservoirs of life-force energy. What are the elements of a typical Taoist altar? The practice of Baibai is one of the most important for Ceremonial Taoism. 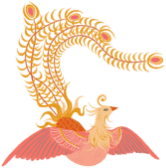 Here are the holidays and festivals celebrated in most Taoist temples. The Three Treasures are energetic substances produced in the “laboratory” of the human body, via Inner Alchemy practice. A mapping of the territory of Inner Alchemy practice. Two schools of Chinese Medicine being practiced today, and how they came about. What is acupuncture? What does it feel like to receive a treatment? The healing energy of plants is an important part of Chinese Medicine. Each of our internal organs has a “spirit” which defines its function within the human body. Having the support of a teacher is really important - here are some of the shapes it can take in Taoist practice. State-of-the-art EMF protection technology offers a profoundly nourishing and effective way to support your Taoist meditation, qigong or martial arts practice. An excellent source of books, CDs and DVDs offering insight and support for spiritual practice. Men & Women, Masculine & Feminine Energy, Yin & Yang – how does it all play out within Taoist practice? Lots of reasons why qigong practice is a really good thing! One of the most well-known, powerful and delightful of qigong practices. A beautiful way of using a common activity to deepen our connection with ourselves and all-that-is. One of the most important and powerful of Taoist qigong practices. A qigong practice used in many of China’s qigong hospitals. Channel the energy of all of the stars and galaxies into your Dantian (lower abdomen). An introduction to eight of the most revered historical/mythological Taoist adepts. Puppetji: Are You A Puppet? How Did the History of Taoism Coincide with These Chinese Dynasties? What Is the Meridian System In Chinese Medicine and Taoism? What Are the Elements of a Taoist Altar? What Are the Five Shen of Chinese Medicine?